Excellent time to get into the thick of it, SEDGEFIELD. Ideally perched at the intersection of Dilworth, Southend, and Park Road, this move-in ready, low maintenance condo will have you steps away from shopping and dining. Updated, freshly painted, and gleaming floors are waiting for you. 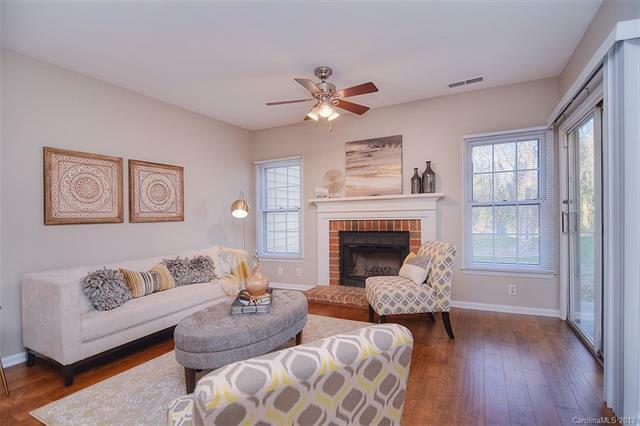 Cozy up to the wood-burning fireplace in your spacious living room which adjoins the kitchen featuring white cabinets, tile floors, and stainless steel appliances. Both bedrooms contain baths, creating a double master experience. The wooded view offers a private covered patio, with an easy to access storage closet. This ground-floor condo is walk-ready, strolling around your new neighborhood could not be any easier.